Recently BAA Training (Vilnius, Lithuania) Flight Training Organization has acquired a two two-seat, low-wing light aircraft Tecnam 2002JF supplementing current fleet of three Tecnam P2002JF and Cessna 172S. Tecnam aircrafts are already introduced to the Ab initio students of BAA Training for flight training which has started in the end of April. It will be used for visual flight ratings (VFR). ‘The expansion of the fleet means the expansion of Ab Initio training abilities. With more aircraft available, our students will receive more flex¬ible and convenient conditions to conduct their practical training’, commented Indre Sveistryte, Head of Flight Training Organization at BAA Training. The aircrafts were pursued at Tecnam manufactory located in Capua, Italy. 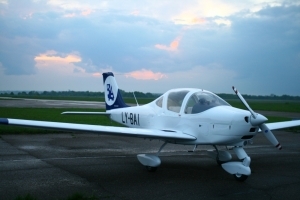 Lithuanian Civil Aviation Authority issued approvals before aircraft were flown to Lithuania by BAA Training’s instructors.